In breaking video marketing news this week, YouTube announced they're rolling out an update to the AI system that controls their monetization system. In case you're not aware, the YouTube Partner Program allows you to automatically earn money from advertisements served on your videos. A few months ago, the monetization system exploded when big companies pulled their ads from YouTube because their ads were showing up alongside extremist and violent content. The withdrawal had substantial "collateral damage" as millions of videos that didn't feature any extremist or violent content were incorrectly demonetized in the process. Thousands of top video creators got caught in the crossfire, with many relying on YouTube ad revenue to make a living. So after the dust settled, only a small fraction of their video library was available for monetization - effectively cutting off all their revenue in one foul swoop. The good news is that YouTube is confident that once this update finishes rolling out, “millions more videos will become fully monetized”. 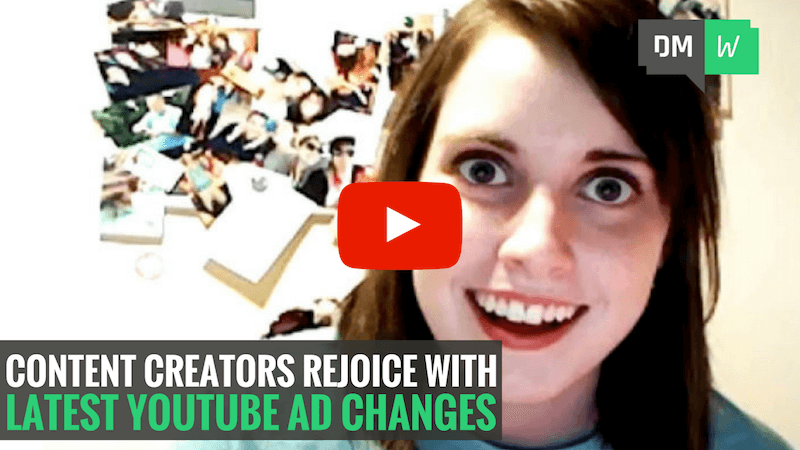 This update is fantastic news if you’re a video creator, as it could mean a boost to your YouTube ad revenue. If you run a YouTube channel, let us know in the comments if the monetization status on any of your videos has changed. This week Instagram has revealed they’ve updated the design of the Stories bar that you see while scrolling through your feed. In case you don’t know, Stories are a collection of your images and videos that combine to make a story which you can share with your followers. Stories was originally launched by Snapchat, but has since been copied by Instagram and Whatsapp. Along with the traditional Stories bar at the top of the app, you'll now see a mid-feed preview of people’s Stories. The previews are twice as big as the Stories bar at the top of the app, and Instagram hopes it will make it easier to see Stories from the people and accounts that interest you most. With over 250 million active daily users, Instagram Stories are a critical part of a successful marketing strategy. Create an Instagram Story today and capitalize on this update with the increased exposure. In SEO news this week, Google launched the Adwords integration for it's Optimize tool to the public after months of beta testing. If you don't know what Optimize is, it's Google's split testing and personalization tool. It makes it easy to test website changes and work out what's best for your users and your business. Once set up, Optimize will make text and image changes to your website each time a user visits, without the need for you to pay an expensive web developer. Suppose you want to improve your flower shop's sales to visitors who click your ads for the keyword “holiday bouquets”. Using the Optimize visual editor, create two different landing page tests. The first test inserts a photo of a holiday dinner centerpiece into your landing page, and the second adds a banner reading "Save 20% on holiday bouquets". Then use Optimize to target your experiment to people who visit your site after searching for “holiday bouquets” and clicking your ad. Half of the visitors will see the test that has a photo of a holiday dinner table centerpiece, and the other half will see the test that has the "Save 20% on holiday bouquets" banner. If the photo version outperforms both the banner test and the original landing page, Optimize can direct all traffic coming from the “holiday bouquets” search to that specific version. Repeat the test with other AdWords keywords and campaigns to further increase your conversions.